The first Angel Pendant was created for a client as a special gift for her closest friend who was recovering from cancer surgery. Her friend loved Angels, and she loved her friend. The Angel Pendant meant a great deal to the woman receiving it, but her friend’s gift of caring, love and ongoing support, touched her the most. I was deeply touched by the expression of unconditional love between friends. The Angel Pendant represented her love and support; a symbolic gift of her presence in their relationship. She was the Angel in the life of her friend. I was witness to this exchange and it inspired me. As I began sharing the story with others, without exception, people understood how they might share in the giving and receiving of an Angel Pendant with their loved ones. I recognized that millions of people might be similarly touched, possibly seeing themselves as being an Angel in the life of someone they loved, or thanking someone for being an Angel to them. In this way, we can all truly make a difference, by sharing the greatest gift of all, ourselves. 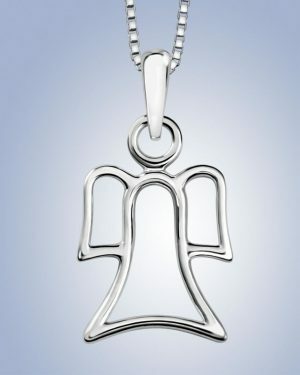 So.. when you are looking for a special way to say : “I love you”, “Thank you for being there for me” or simply “I am here in spirit and prayer for you”, consider the gift The Angel Pendant, an enduring gift to last a lifetime. 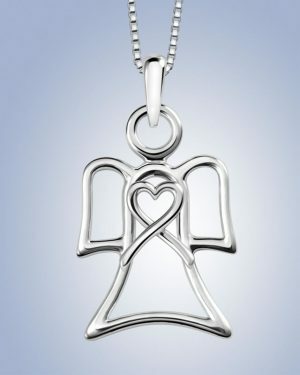 I want to thank all those individuals that have given a gift of The Angel Pendant to a loved one. Each gift of an Angel Pendant inspires a story, and it is my hope that the reasons for giving or receiving an Angel Pendant will touch you like they have touched me. 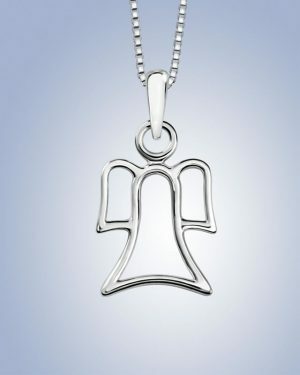 From celebrating a special friendship or family member, to the birth of a child or the loss of a loved one, there is no end to the reasons for giving an Angel Pendant.